Chicago proved it can hang with the best of them on Saturday, splitting a doubleheader with ninth-ranked UW–Whitewater at Stagg Field. They’re still not satisfied, though, with the win they left on the table. The Maroons won comfortably in the first game, triumphing 5–1 behind a complete game from Kim Cygan (10–3). They had a promising start to the nightcap, scoring two runs in the bottom of the first to go up 2–1, but Chicago was blanked the rest of the way, falling 6–2. In game one, the Maroons and the Warhawks both looked primed to score early, as each put two runners on base with two outs. Neither pitcher was fazed, though, and each got easy outs to end the threats. After three innings, the game looked increasingly like a pitcher’s duel, and a solo home run in the fourth by UW–Whitewater’s Emily Epifanio threatened to be the deciding run. Chicago would have none of it, though, getting a two-out, two-run home run from second-year Maddie McManus, the third-baseman’s first of the year. The Warhawks tried to play small ball to get back in the game, opting for consecutive bunts after getting a leadoff double in the fifth, but with two runners in scoring position and no outs, the Maroons managed to defuse the situation with a double play that erased both of the Warhawks’ baserunners. Chicago scored another pair of runs in the bottom of the fifth, and even though they left the bases loaded, the game was out of reach. The Maroons opted to have Cygan start the second game as well, and looked for their momentum to spill over offensively, but couldn’t manage the same level of success. 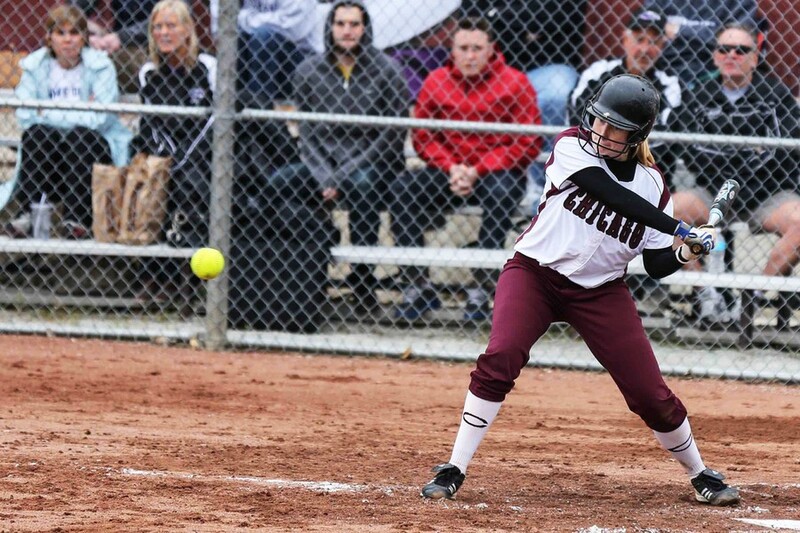 The Maroons scored two runs on fourth-year Liz Payonk’s RBI double in the first inning, but never managed more than a single hit in an inning afterwards, as the Warhawks’ Beeka Houda (7–2) went the distance, hurling seven strikeouts along the way. Cygan looked ready to match Houda in the first couple innings, ending a threat in the first inning by striking out a hapless UW–Whitewater batter swinging, and rolling through an easy second inning. The Warhawks loaded the bases in the third inning, though, and after they scored a pair of runs, Kmak brought in fourth-year Sarah Neuhaus for Cygan, who got two quick outs to keep the game close. Neuhaus allowed a pair of runs in her next inning of work, before first-year Tabbetha Bohac finished the game for the Maroons. The Maroons are in action again this Saturday at Stagg in a doubleheader against Hope. As the end of the season looms closer, the squad will begin to evaluate their post-season prospects. Having already shown they can hang with the cream of the national crop surely can’t hurt the Maroons’ chances.